Farr Yacht Sales has added the division of Farr Yacht Sales Americas. 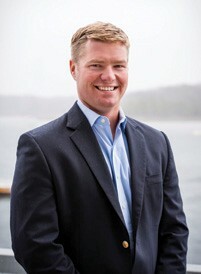 The new office, located in Newport, RI, will be headed by Jesse Fielding. This office joins other FYS offices in Annapolis, MD and Cowes, UK to provide an integrated experience for clients around the world. FYS continues its reorganization into a territorial business model. Fielding brings ten years of grand prix campaign experience to FYS, with success in one-design classes and offshore platforms around the world. He credits the Morning Light Project, which featured a Farr-designed TP52, with launching his sailing career. “I’m excited to partner with the team at Farr and work with clients on an individual basis to achieve their goals,” said Fielding. “We look forward to having Jesse’s fresh perspective on our team and launch FYS Americas with a renewed enthusiasm,” said Patrick Shaughnessy, President of Farr Yacht Design. FYS Americas serves as an outlet for Farr Yacht Design’s new production yachts and for brokerage listings. This model will also provide support for owners of existing Farr-designed yachts. It will build on a strong, well-respected reputation with owners, sailmakers, sailors and other brokerage firms. Adding FYS Americas alongside FYS Europe will allow for additional product exposure across North and South America and the Caribbean. Owners and prospective owners of Farr-designed sailboats benefit from a close working relationship with Farr Yacht Design, the largest racing sailboat design office in the world. Optimization services, boat histories, sailing performance data, construction methods and racing prospects can be made available to assist owners to make informed choices. FYS Americas is actively seeking brokers and agents to represent specific products in local areas. Fielding can be reached at Jesse@farryachtsales.com.